Happy Feature Friday, everyone! Say hello to Raluca Gheorghiu Boac, an alumni of our Graduate Program and a Romanian-born pianist who loves to share Romanian piano music with Minnesota! 16 hours 3 min ago. Congratulations to our current horn professor, Mike Alexander, on being named the Principal Horn Player of the Minnesota Opera Orchestra! 1 day 14 hours ago. See what Holly Brown has to say about St. Thomas Music! 3 days 16 hours ago. Congratulations to Dr. Bryan and Dr. Kachian on their years of dedicated service to the University of St. Thomas Music Department! Next time you see them, make sure to congratulate them and thank them for their years of service! 4 days 14 hours ago. Happy Feature Friday, everyone! Say hello to Matt Wilson, an alumni of our program! Matt is currently finishing up his last semester of Law School and will soon be taking the bar exam. Good luck on the bar Matt! 1 week 16 hours ago. Dump the string section of an orchestra and what is left? A symphonic wind ensemble. All of the power but none of the scraping. And when it is a finely tuned engine, that sucker can roar. 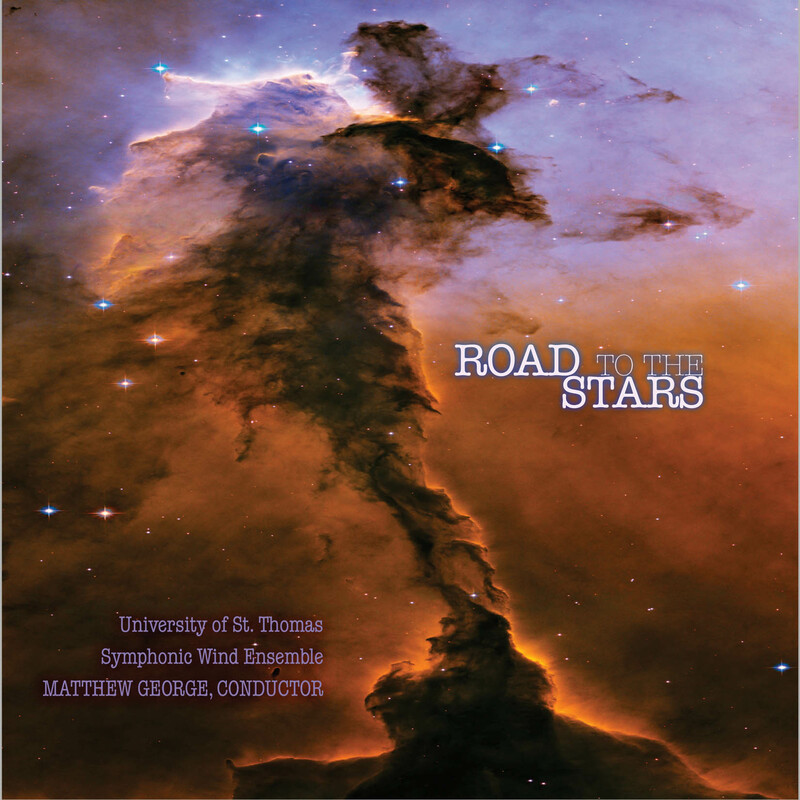 No wonder then that the University of St. Thomas (UST) symphonic wind ensemble based in St. Paul, Minnesota, named their CD "Road to the Stars" after Yuri Gagarin's first manned orbit. He "heard an ever-growing din and felt the rocket tremble all over before it slowly lifted off." The University of St. Thomas has commissioned new works for band since 1985 and this collection is the first to document some of them. The composers range from Guy Woolfenden of the Royal Shakespeare Company to film composer Nigel Clarke ("The Little Vampire"). Subjects range from Shakespeare to Soyuz, dancing bugs to Bohemians. Matthew George is in charge of this mission, and it is flawless. It may be a long road to those stars but the music skips right along.